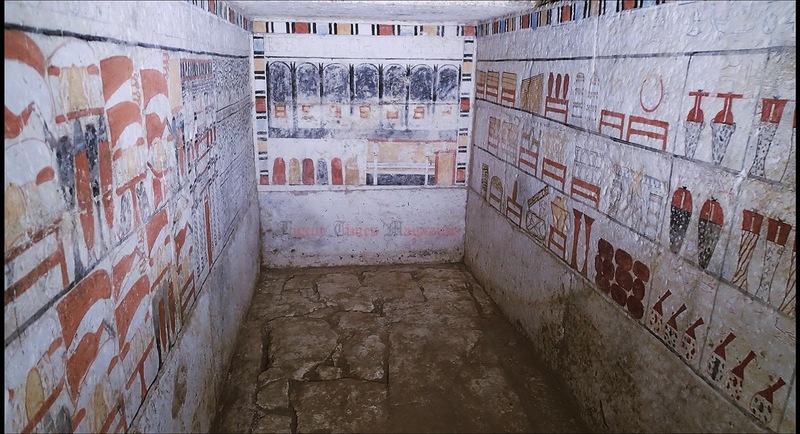 Minister of Antiquities announced today the discovery of two 6th Dynasty (Old Kingdom) tombs at the site of Tabit El-Geish, south of Sakkara. The two tombs belong to priests who were contemporary to the reign of Pepi II (2240-2150 B.C). The tombs were discovered by the mission of the IFAO (Institut Français d’archéologie Orientale) directed by Dr. Vassil Dobrev. The first tomb of a priest called "Ankhti" where the burial chambers was found in a shaft 12 meters deep and the second tomb belongs to a priest called "Sabi" where the burial chamber was found in a shaft 6 meters deep. In both tombs there are offering scenes. 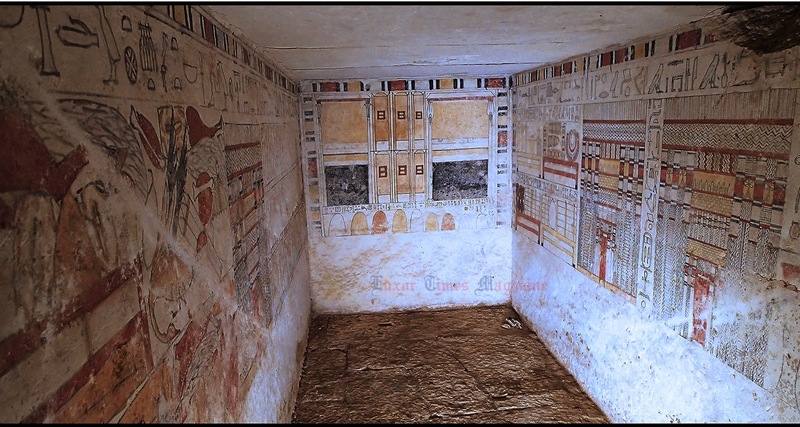 In the burial chambers of both tombs, human remains and skeletons of the tombs owners were found scattered around which could indicate that the tombs were robbed and vandalised during the 7th or 8th Dynasty. There were alabaster jars found as well as coloured limestone offerings samples with pottery. Dr. Vassil Dobrev, director of the mission, said that the upper part of the tombs were built with mud brick and the burial chambers were cut into the white limestone bedrock. Both tombs have scenes of offerings lists and The seven sacred oils are those used in the Opening of the Mouth Ritual.